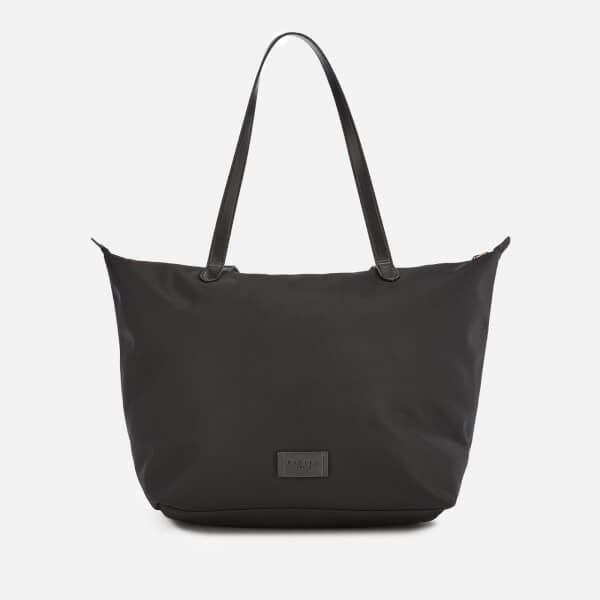 Large nylon tote bag from Radley with a lightweight, water-resistant construction. 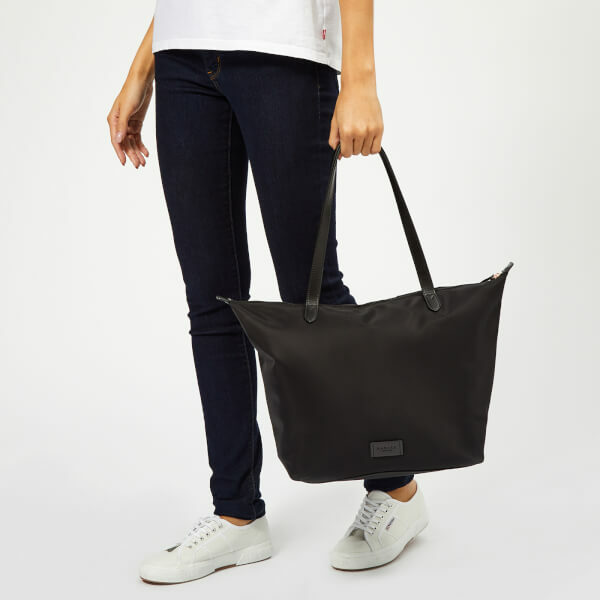 Secured with a top zip fastening, the 'Pocket Essentials' shopper bag opens to reveal a spacious main compartment with an internal slip pocket and key chain. An exterior slip pocket offers easy-access storage. 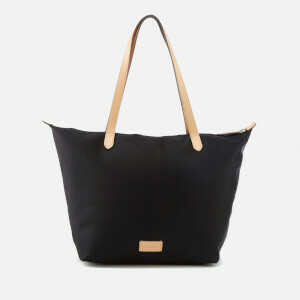 Fitted with contrasting handles that can be worn over the shoulder or carried in the crook of the arm. 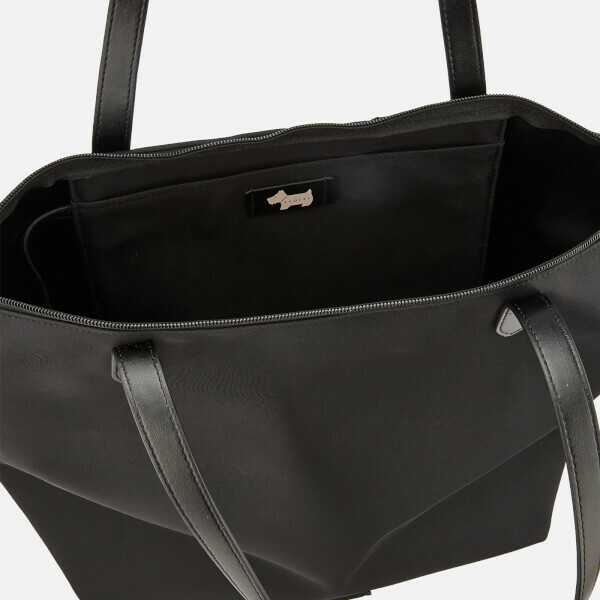 A Radley dog charm completes the design. Dimensions: H: 31.5cm x W: 29cm x D: 15cm. Handle Drop: 25cm.